Bring your moms, sisters, aunts, friends, and let’s celebrate Mother’s Day Weekend together. 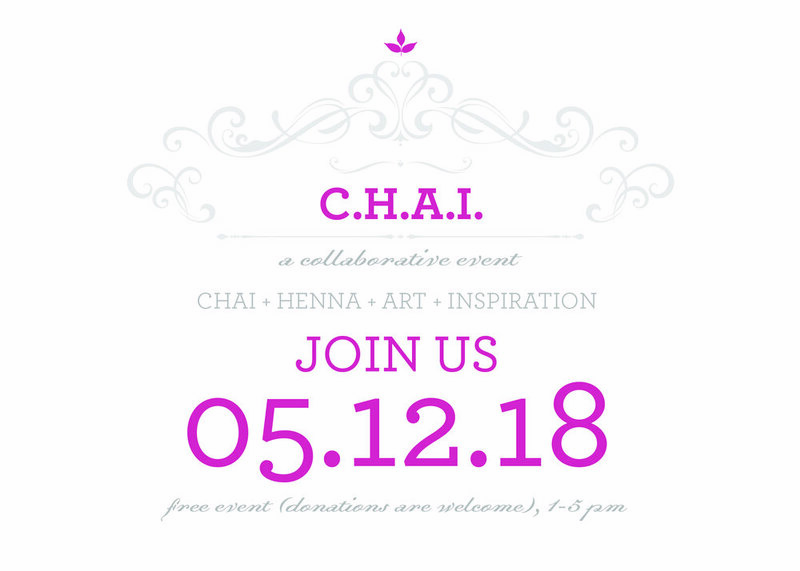 Come sip on organic Ayurvedic chai, get henna tattoos, check out original handmade art, and get your questions answered about Ayurveda, health, and holistic healing. This event will be held at Roha (4052 18th Street, San Francisco). Arrive any time after 1 PM. This will be a fun and casual event where you get to make new friends, chat about health and wellness, get to know our beautiful center, and the services we offer. Bring cash/check if you're planning to purchase art.